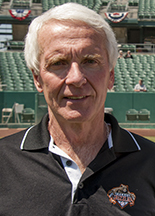 FRESNO – The Principal Financial Group will make a stop at Fresno’s Chukchansi Park during its 2013 Principal Financial Dreams Tour, celebrating the company’s decade of support for minor league baseball. Over the past 10 years, The Principal has brought more than 400 events to minor league ballparks, attracting nearly two million fans. Past tours have given fans the chance to meet some of baseball’s biggest stars, including Steve Garvey, Dave Stewart, Rollie Fingers and Lee Smith, among others. This year’s tour scheduled to make 20 stops from coast to coast, will visit the Fresno Grizzlies on Tuesday, July 30 with an exciting in-stadium promotion event in which the first 1,000 fans will receive a unique Parker Head Bank compliments of the Grizzlies and The Principal. One lucky fan and their guest will win prime tickets to the game and other prizes through an online contest and more prizes will be available by following the tour’s Facebook and Twitter posts. The Financial Dreams Tour, which is an evolution of the popular Principal Financial Group Family Fun Fest, also provides attendees with information to help them plan for a brighter financial future. 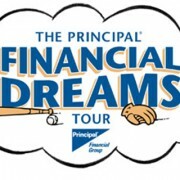 To learn more about the event and schedule, visit: www.principal.com/dreamstour.